Starting with thin, handmade glass canes of clear glass with a white center, this Venetian glass vase is slowly worked into its shape. The work is known as filigrana. 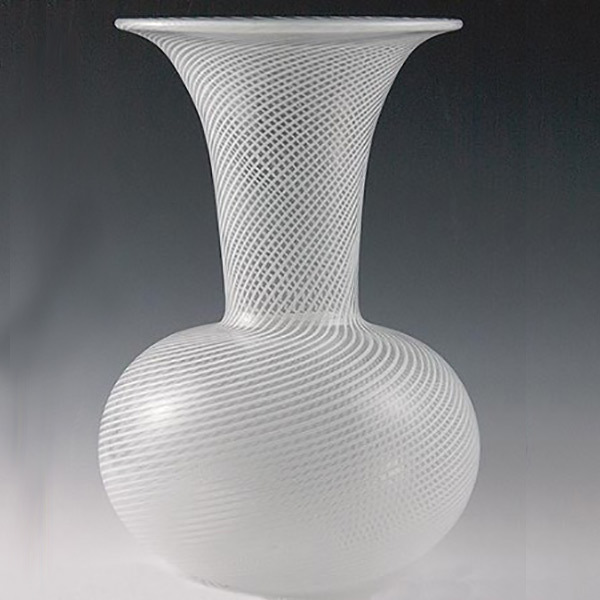 The result is a spiral pattern of white and clear glass standing 6 1/2 inches tall that can only be created by the most skilled blowers. Each white stripe perfectly crosses the one on the opposite side of the vase showing the exceptional blowing skill.